ShangralaFamilyFun.com - Shangrala's Tree Trunk Art! 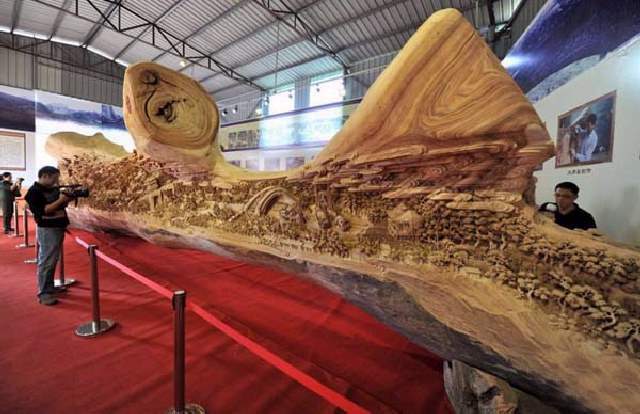 What A Man Did With This Tree Trunk Will Blow Your Mind. 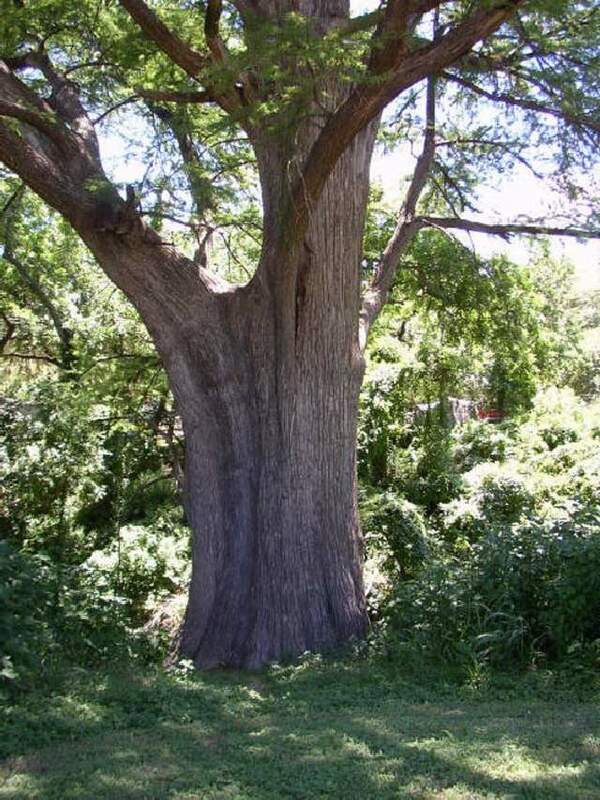 One tree, four years of work and an indescribable amount of talent: that's what it took to create this incredible masterpiece. 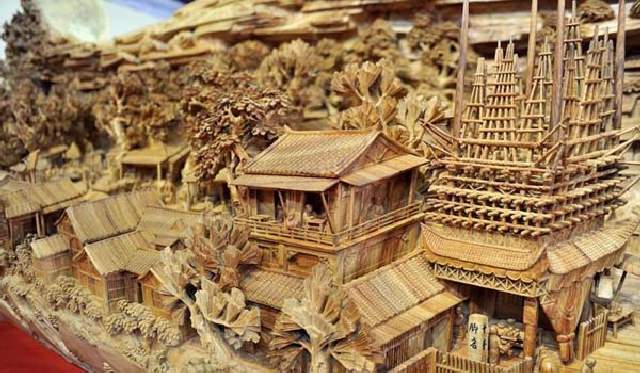 A famous Chinese wood carver chopped down a single tree and tirelessly worked on it for over four years to make this piece. Your jaw will hit the floor when you see what he created. 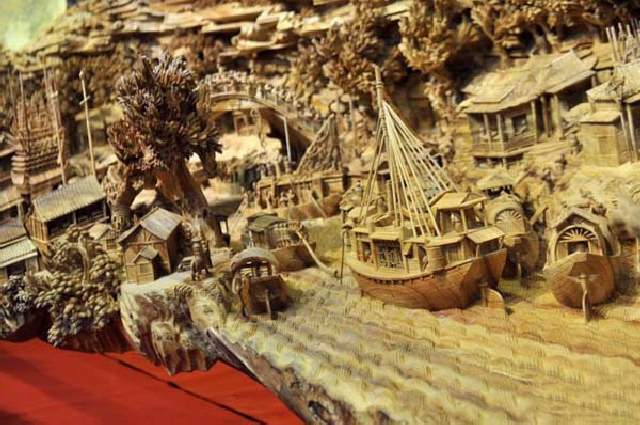 The carving is based on the famous Chinese painting "Along the River During the Qingming Festival." The original artwork was created over 1,000 years ago. 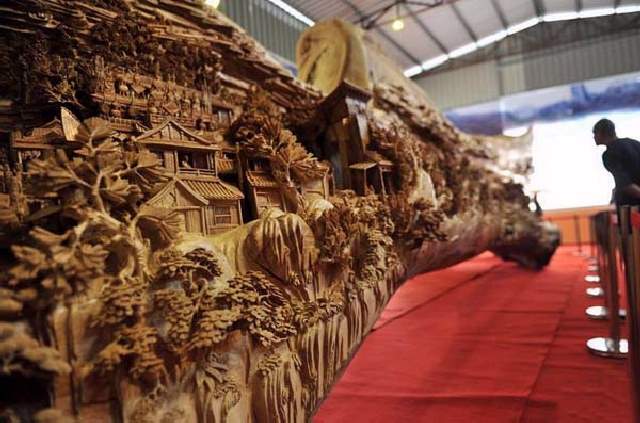 The piece won the Guinness World Record for the longest wooden carving and measures over 40ft (specifically, it is 12.286 meters long, is 3.075 meters tall at it highest point, and is also 2.401 meters wide). 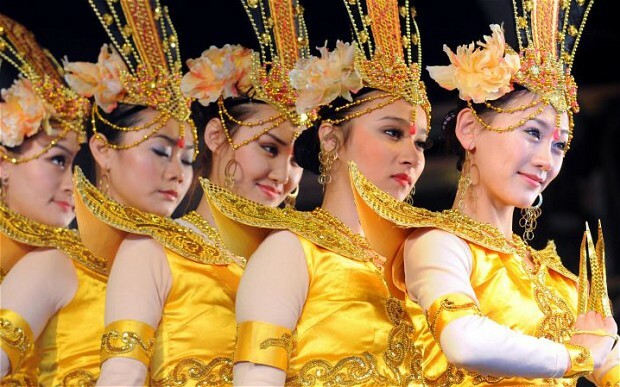 It's no surprise that this incredible work of art is drawing so much attention. 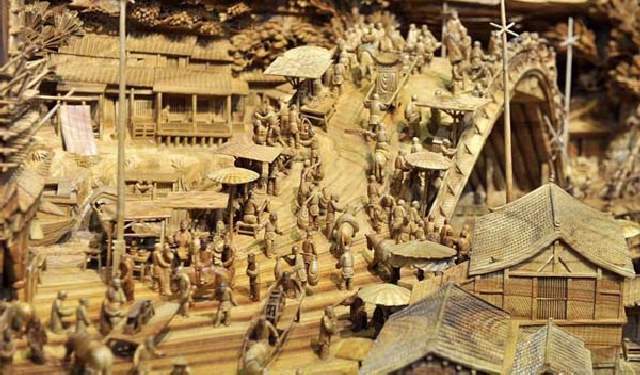 It's amazing, but not just because it's so big, but also because it's so incredibly detailed. That Was 8,760 Hours Well Spent! SEE ALSO: Tree Trunk Art 2! SPECIAL THANKS Goes To LINDA And GENIANN For Sharing This With Us.